William Edward Claridy, Jr. age 63, went home to be with Jesus on November 21st, 2018. “Bill” passed away peacefully at home, in Peachtree Corners, Georgia, surrounded by his loving family. Bill was born October 3rd, 1955 in Xenia, Ohio, to William Edward Claridy, Senior and Madge Claridy. Bill worked in computer engineering and software development. 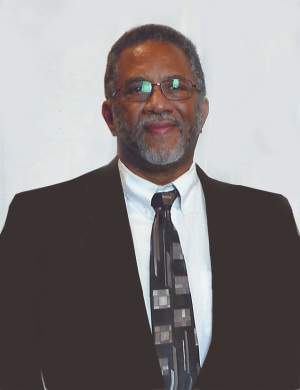 He spent 27 years working with Storage Tek in Denver, Colorado where he led teams of engineers and analysts. His last 12 years were spent as an IT Consultant in Atlanta, Georgia. Bill enjoyed spending time with his family, especially his wife, Theresa, with whom he had been together for 34 years, and their grandkids of whom he was very proud. He also enjoyed watching football and basketball, and talking on the phone with his brother Martin and his son David. Bill is predeceased by his parents. He is survived by his loving wife Theresa Claridy of Peachtree Corners, Georgia, his step-daughter Renee (Tino) Imbesi of Peachtree Corners, Georgia, his step-son Rodney (Tamara) Romero of Pine, Colorado, his son David (Jaime) Sanchez of Denver, Colorado, his grandchildren: Isabella, Sienna, Erica, and Tino Imbesi, David “D.J.”, Deasia, Dillon, and Amora Sanchez, Xavier and Octavio Trujillo, and his brother Martin Claridy of Piqua, Ohio. A Memorial Service and Celebration of Life will take place on Friday, December 14th at 12 noon at Perimeter Church in Johns Creek, Georgia.